Loves, I’m tired of reading people lecturing others on what they should or shouldn’t eat. I’m not rejecting suggestions or to learn about food and nutrition because i appreciate those who share ideas and food is one of my fave pastimes (get in my mouth!😛👈) but when sharing and advising veers into territory that becomes condescending and critical of others and their choices, it makes me wrinkle my nose. Think there is lots for all of us to learn when it comes to food and nutrition and we’re all different – what might be good for someone might not work for someone else. There are also many other factors that mean we’re not all afforded the same privilege to make certain choices. And where we live will also have an effect (i learned that wonderful lesson being a vegetarian in Norway ❄😁😞). Extreme diets in what ever form- (and i’ll go there and say “only juice” or “only raw” which for some reason a number of people especially in the yoga community proclaim is the ONLY way – side note I’m not criticising those who choose to do their thang and leave everyone else to do so let that be clear) -don’t sit well in my body. too many reminders and triggers of many miserable years of eating disorders. And I don’t like rules. 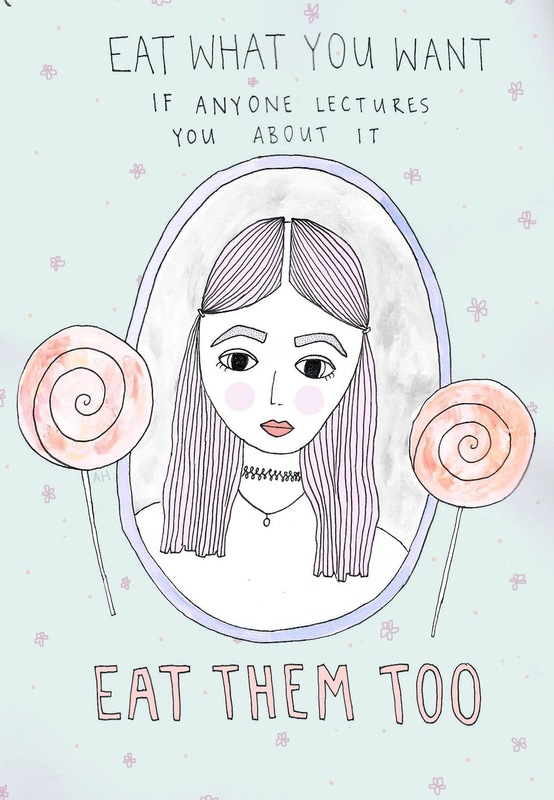 So i eat whatever the hell i fancy (I’ve written about this in some detail on my blog which you can read here) and try to be mindful of how that makes me feel. And I like to feel good. there’s no such thing as “naughty” nor “sinful” in my book and that’s how i like it. Trust you (and what you know to be good for you). This entry was posted in health, inspiration, lifestyle, nutrition, peace, recipes and tagged be kind, diet, doyouboo, eating disorders, feel better, foodporn, juice diet, nutrition, raw food, vegan, vegetarian, yoga and food, yoga lifestyle. Bookmark the permalink.